It’s wonderful to have something special to focus on when your slogging through the miles everyday, and my favorite is meeting up with Marc, Davis, and Ann. They visited in Harpers Ferry last weekend and my excitement built as the weekend neared. We all pick daily mileage goals and usually have a couple spots picked for camping that night. Basically, you can pitch your tent anywhere along most of the route, so its enticing to stop early some days. Knowing you have someplace to be by a certain date on down the trail can make it easier, as long as you don’t make it into a grind. I had to let go of my goal to reach Harpers Ferry by the time they arrived and instead figure out how to find a shuttle driver to Harpers Ferry once I was out of Shenandoah National Park. It was so much more fun to hike after I reduced the pressure on myself, had the shuttle lined up, and could enjoy the hike while anticipating their visit. One lesson made clear on this journey is you can easily turn your dream into a trap by making up rules and schedules which are only in your head, like “I must be there by….” The reality is I can usually jump off trail at the next road crossing by having a shuttle driver meet me there, and then drop me back when I’m ready. It’s a great life lesson, too. Much of the pressure I feel, is put upon me by myself. I don’t need to add pressure to my journey or arbitrarily create schedules when they aren’t needed. Right now, I’m trying to remember that wherever I am on the trail is exactly where I need to be, and no other expectation really matters. In the meantime, I’m glad to have perks and extra encouragement from friends and family to help me stay focused on moving forward to Katahdin. It sure helps the daily grind be the daily hike instead. Nonetheless, Harper’s Ferry is a huge milestone for you as well as great choice for family time. On into Pennsylvania and the rocky road! Thanks for the “life lesson”. It applies to all of us. You’ve got this Lorrie! Just keep on trucking! Keep it going Lorrie, I know your family must be very proud of you. 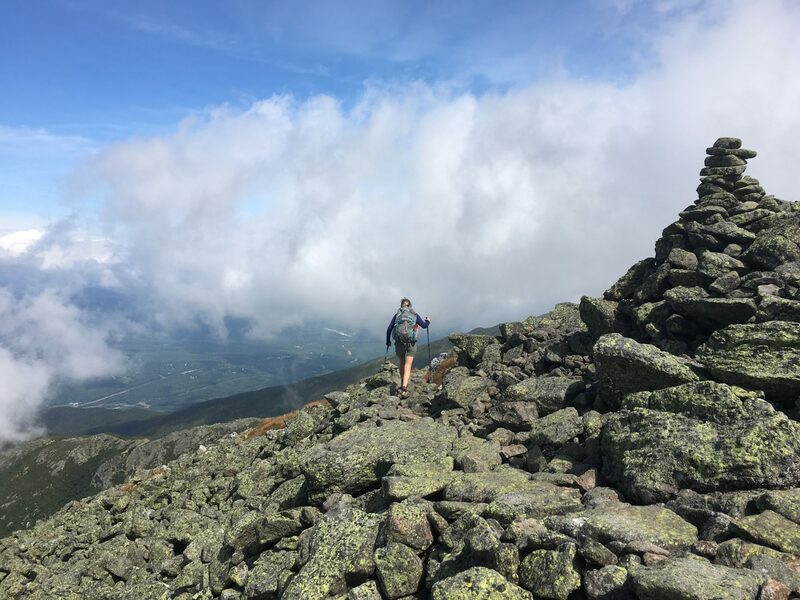 Whether you stay on track to Katahdin or not, you’ll have a lifetime of memories. I suspect though, with your type A, driven personality (not unlike myself! ), that you’ll make Katahdin this year! I sure hope so 😊 it’s so very challenging, yet I have so much going for me.